Modeling for (Embedded) Code Generation and Integration. Propel your innovation: bring exploration and implementation together. 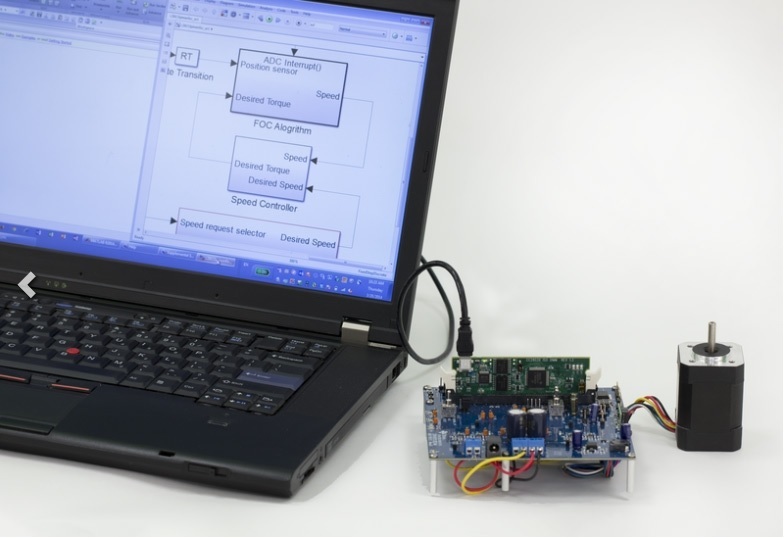 Capture your ideas in high-level MATLAB and SIMULINK models, mature your designs and integrate them in your production systems by means of embedded coding. From idea to concept, from MATLAB to C/C++ or PLC code. We offer support and tools to help you build your models and generate reliable application code, using available	resources efficiently. Meeting your performance, integration and certification requirements. Across the various industries we service, we see an increasing amount of data used, in increasingly complex algorithms. Earmarked for embedded applications, on an ever wider variety of production platforms. This - increasingly - requires skills with respect to architecture, testability and performance. We live up to the challenge, Get in touch. We can quickly convert your ideas into live demos on hardware. From building code or models, to generating code and finally compile it for your platform, no matter	what the application does: ranging from signal processing, image processing, to control systems. Prototype it on low-cost targets such as Raspberry Pi or Arduino®. For mobile platforms, we can help prototyping/deploying generated code into your own app and run it on iPhones or Android devices, including accessing on-board sensors such as the video camera and accelerometer. Get in touch. When your MATLAB/SIMULINK model is no longer just an executable specification, but becomes the source of your embedded code, non-functional requirements like memory usage and execution speed become highest priority. We have extensive experience with improving execution speed while reducing memory load of generated code, by optimizing the models without functional changes. Let us help. We offer solutions, from one-time integration to completely customized building procedures. For many embedded use-cases, readability is not a major concern, like many customers have no specific interest in the assembly code from a compiler. However, in some industries code reviews are required, for instance during a certification process. We offer support for getting full traceability and readability in place between models and code, by defining the correct code generation environment, the correct guidelines for naming conventions and modeling approaches, including automation of the review of the models and code. For instance, we have helped a customer obtaining DO-178B certification	for a GNSS-based landing system for precision aviation applications. We used a Model-Based Design approach with MATLAB & Simulink to trace requirements, simulate the design, and generate and verify source code. As a result, the design-tests were reused on generated C source code, the Models were verified by simulation (ensuring virtually bug-free code) and key SOI-1 certification milestones were achieved.